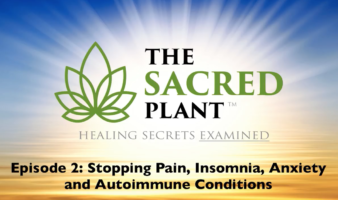 Episode 2 is entitled: Stopping Pain, Insomnia, Anxiety and Autoimmune Conditions. This is the largest and most comprehensive series ever produced on the topic of natural plant based medicine. If you or a loved one are looking to prevent, treat and even beat a life threatening disease, this eye-opening docu-series will provide you with the tools you need to make informed and empowered decisions about the health for you and your family. Plus you’ll meet Richard, Sarah, and Mitra and hear their stories plus what they suffer from how The Sacred Plant helped them.